Some people question whether 3D CAD models should be a part of the design process. Because of globalization, product manufacturers are stressed to respond to three specific consumer needs: better, faster, and cheaper. In addition to shortening product lifecycles, these demands increase the need for models that are newer, higher tech, and customized. It is clear that CAD 3D models are essential to the design process. Companies that respond to consumer demands are not only more innovative but also more profitable and successful. To stay ahead of the competition, manufacturers use various methods, including concurrent engineering. This process of manufacturing and engineering a product simultaneously is enabled by three-dimensional CAD model shared data. As such, these models are used as virtual prototypes that dramatically reduce the amount of time spent creating multiple prototypes before one is deemed flawless. 3D Wireframe – Although not commonly used, the 3D wireframe shares similarities with 2D CAD systems. Typically, this is the preferred model for making the final engineering drawing views. 3D Dumb Solids – Also seldom used, this model generates two-dimensional projected views. Usually, the model does not include tools that set and allow limits to components’ motion or identify the interference between various components. 3D Parametric Solid Modeling – For this model, the operator must use design intent, which means that when creating the model, the design’s purpose is taken into consideration. Unlike a dumb model, the solid model can have a feature located in a more convenient area of the three-dimensional drawing that produces a “correct” look. There are numerous benefits associated with 3D CAD models. These models have a lower cost per unit, increased workload capacity, better production control, improved manufacturing accuracy, more design flexibility and integrity, enhanced collaboration and communication, and identification and elimination of inefficiencies. 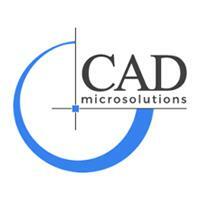 Overall, three-dimensional CAD models produce a noticeably higher-quality finished product. To take a cost-effective approach to production, many manufacturing companies now combine CAD outsourcing with 3D CAD models. With outsourcing, 3D models are more accurate, although the focus remains on manufacturing as opposed to modeling. Other advantages include reliability, security, lower cost, better competitive edge, less infrastructure, and leveraging of expert help. Because of this, many forward-thinking manufacturers rely on outsourcing three-dimensional CAD models.